Hey yall. 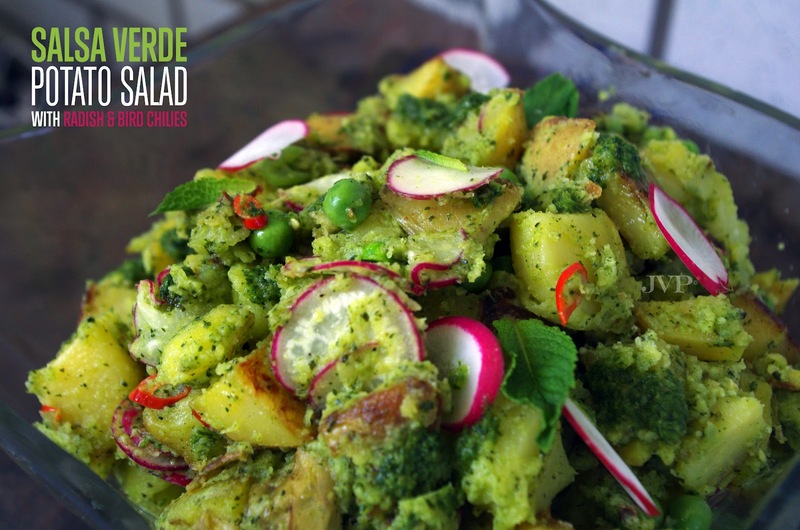 Just wanted to wish you all a great weekend and let you know about an awesome organization I will be blogging for called the Good Food Revolution. This photo is from my very first post for a delicious summer grilled peach salsa. Chow for now! xo j. 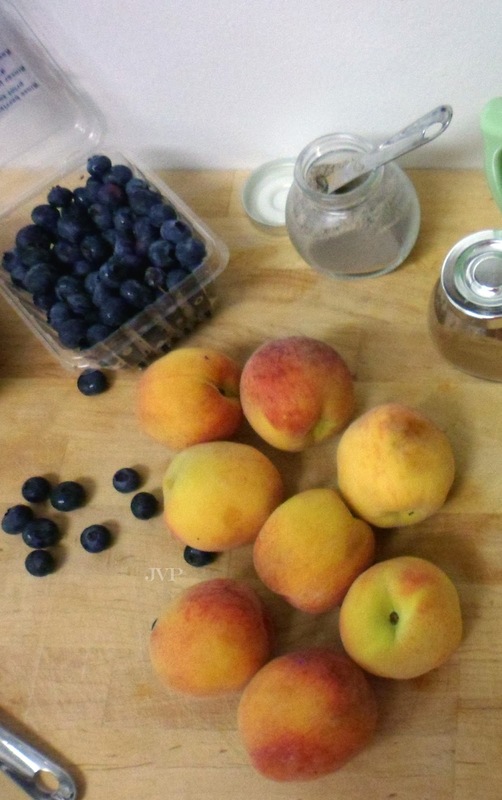 We are super lucky this summer since peach season has started early. Thanks to our super hot & sticky summer no doubt a direct cause of global warming. At least it's good for something - yes I'm looking on the bright and sarcastic side of things. 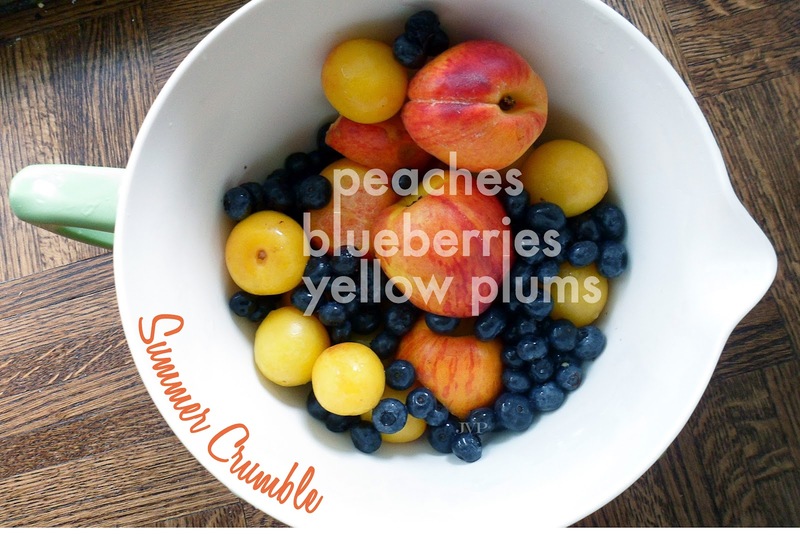 This local array of fruit makes a delightful summer crumble which is easy as pie to make... well easier cause it's crumble - pies reliable & modest cousin. One of my all time favorite desserts that really needs no measuring, just love and a scoop of ice cream doesn't hurt either. FILLING: Chop fruits adding a few spoonfuls of something sweet to the fruit mixture, 2 spoonfuls of flour, pinch cardamom. Mix well. BAKE: Spread topping over filling and bake for 45 mins. I don't know what it's been like in your neck of the woods, but in Toronto it's been a scorching summer. Pretty stunning actually, with a few periods of extreme heat and humidity conveniently when the AC in my building wasn't working (obviously). Torontonians are funny about the weather, maybe it's even Canadians in general but we complain no matter what. It's too hot, it's too cold, it's too dry, it's too rainy - we find fault in every season. 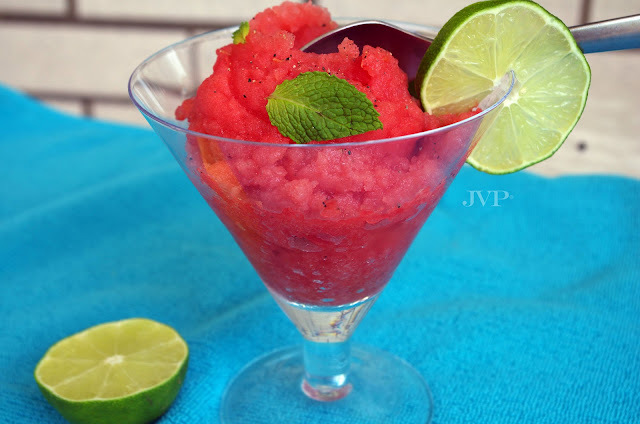 For my second GASTROPOST I'm going to let you in on a delicious heat wave treat - The Watermelon Slushy. I recently saw a recipe like this somewhere I don't remember where but I remember the easy details... freeze watermelon & blend was the gist of it. For my version add some lime, mint, a splash of white rum if you're of the age and feeling frisky and voilà a perfect chill out beverage. Per 1 cup of frozen watermelon add 1 juiced lime. Blend on low until the slushy consistency is to your liking, about a minute. 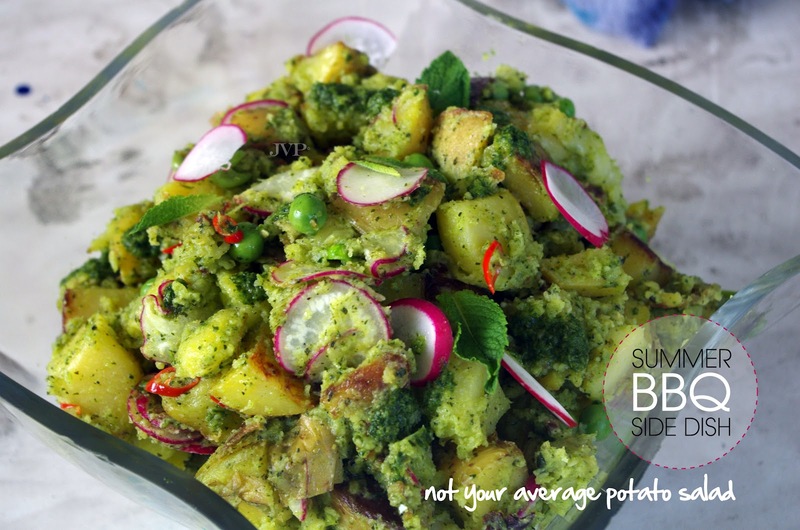 If you are lucky enough to have a Breville blender there is actually a "shave" setting which is perfect for this. For my first Gastropost mission I'm going to tell you about an amazing cocktail that always makes me think of home. 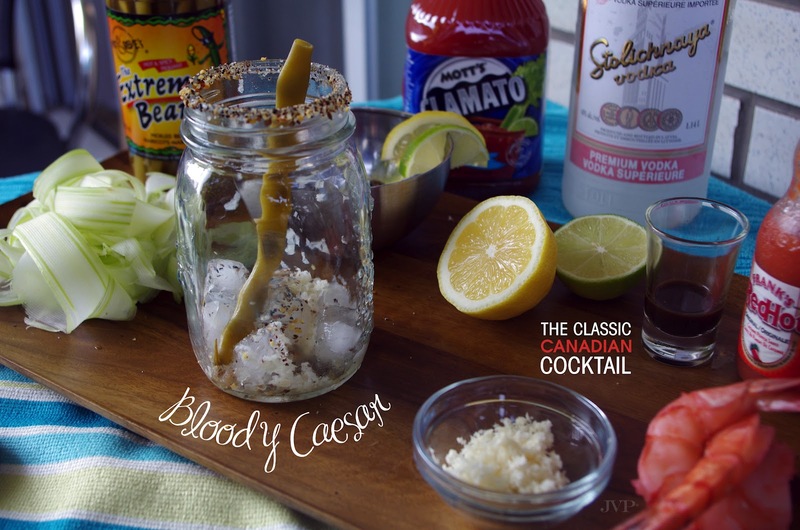 The iconic Bloody Caesar goes back to 1969 in Alberta, Calgary. 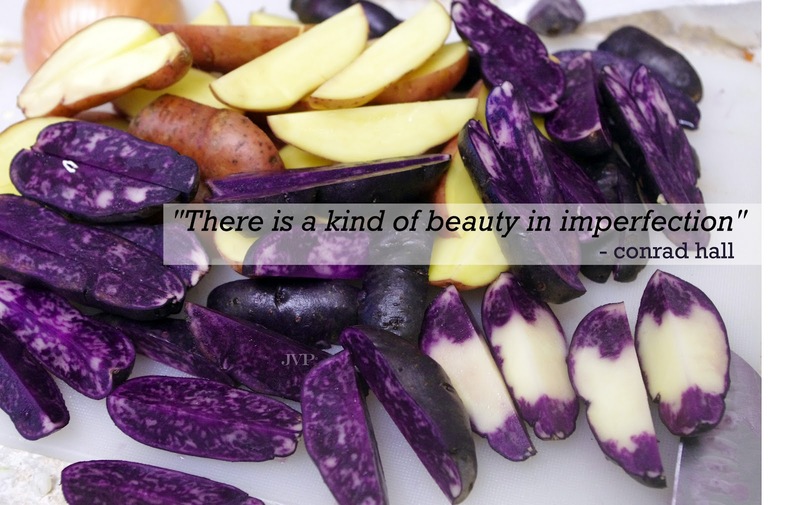 Restaurateur Walter Chell concocted this masterpiece in honour of a new Italian restaurant launch. The Caesar is said to be inspired by the famous Italian dish spaghetti alle vongole which in English means spaghetti and clams. Mmmm pasta & seafood. In the last 40 some odd years the Caesar has become one of Canada's most exclusive and beloved elixirs. It is virtually unknown by the rest of the world, which makes it a perfect candidate for my contribution to a Canadian food post. When I think of a bloody Caesar I think of summer, sitting up north at a cottage with good friends enjoying Ontario's beautiful weather. It's really one of the most perfect aperitifs since it is both both a drink and a snack. 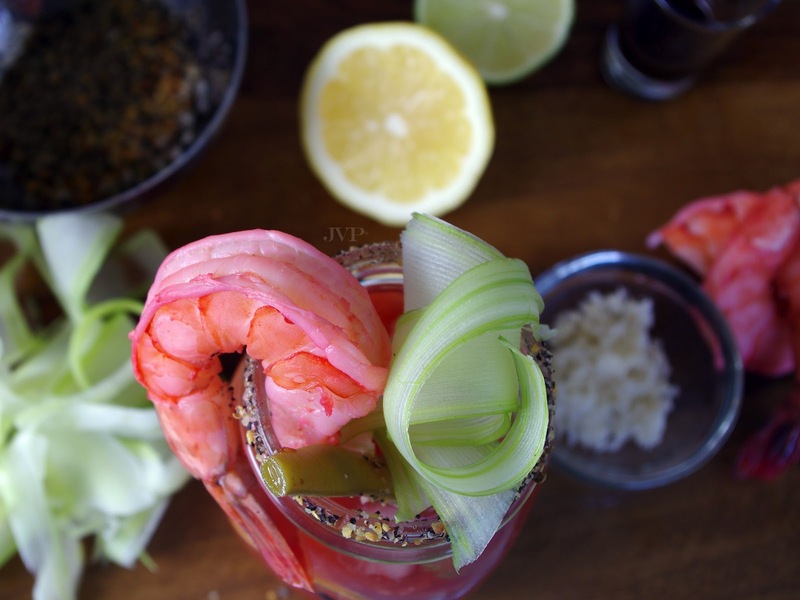 I've really kicked up this aspect of the cocktail in my version which uses the clamato juice to poach a stunning jumbo shrimp. Definitely the perfect garnish along side a pickled bean & some celery shavings. Not too shabby for a pre dinner snack. I like to use the regular clamato juice and use my own spice blend of horseradish, Montreal steak spice, Frank's Red hot & worcestershire sauce of course. splash of pickle, olive or bean "juice"
TO POACH THE SHRIMP: Cut the spine of the shrimp to remove the shell leaving the tail behind. In a small pot bring a cup or so of clamato juice to the boil then turn off the heat. Place the raw shrimp in the liquid for 3-5 mins until they are firm and pink. Remove from the liquid & place in a small bowl in the fridge until ready to assemble your beverage. This refreshing clam beverage beats out the bloody Mary any day! 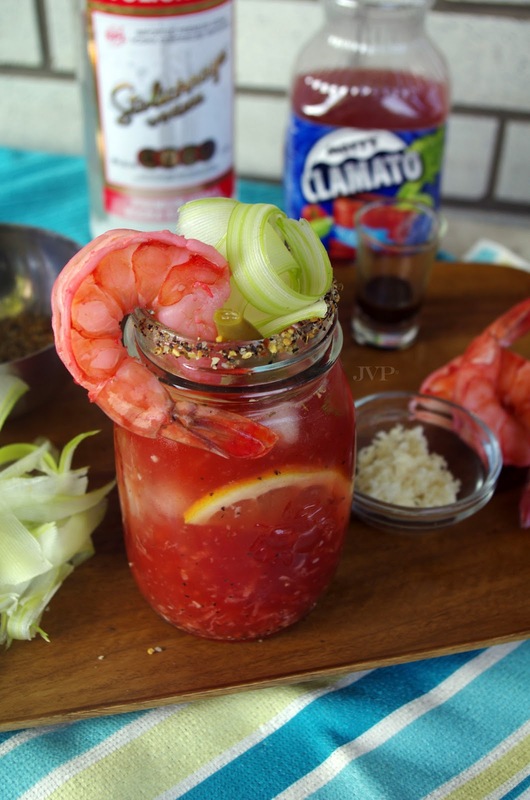 Try using the clamato poached shrimp in a salad with a citrus vinaigrette for a light tasty summer dinner. Chow for now! Holla amigos, buenos dias. 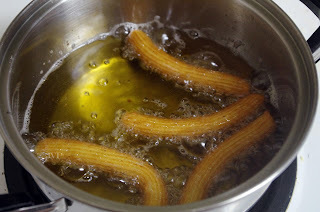 Hoy me voy a escribir halgo sobre un postre increíble de verano...los churros. I bet I just threw you all for a loop there eh. My Spanish may be limited but my love of the food, people and soccer team knows no bounds. I hope you all enjoyed your long weekend. Happy Canada day to my Canadian readers, Happy 4th of July to the yanks & a HUGE felicidades to everyone who rooted for Spain in the Euro cup. It really was an unbelievable win against Italy on Sunday. 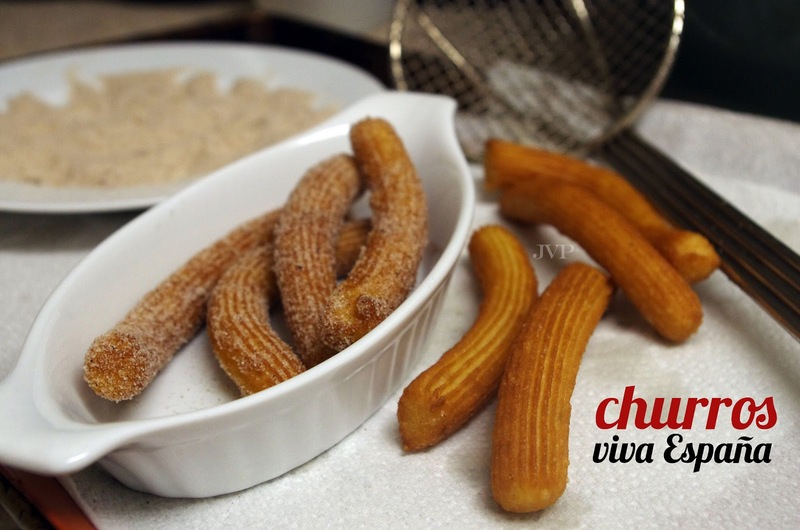 In honour of Spain's legendary win I'm going to let you all in on my amazing churro recipe. It took me a while to perfect these delicious donut sticks and it's my absolute pleasure sharing my secret with you. 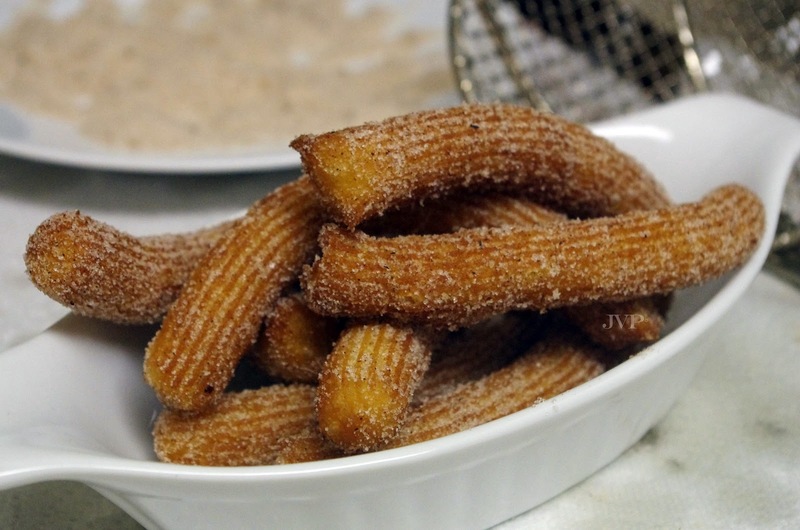 Churros are popular in pretty much every Spanish speaking country in the world. In Spain and other parts of South America they are an extremely popular street food eaten with dulce de leche - a delicious caramel like sauce made from boiled sweetened condensed milk. In Mexico churros are enjoyed along side a spicy hot chocolate drink. Either way they taste absolutely delicious. You will need a pastry bag and large star tip to make the churros as well as a hell of a lot of muscle to fold the dough (choux paste) until perfectly smooth. STEP 1: Whisk eggs and vanilla together and place off to the side. Combine sugar, a pinch of cinnamon & nutmeg in a dish and place to the side for dusting. STEP 3: In a medium pot bring water, sugar, salt & butter to a boil. Turn heat off before step 4. STEP 4: Add flour and stir with a wooden spoon until combine (will form a large ball). STEP 5: Add egg/ vanilla mixture and continue to work into the dough until everything has come together. STEP 6: Place the star tip inside the pastry bag and fill with 1/2 the churro mixture. STEP 7: Test the oil by squeezing a small dollop of dough and if large bubbles form around it the oil is ready. Squeeze 6-10 churros into the oil and fry for about 5 mins until a deep golden colour. STEP 8: Place the churros on to paper towel and then into the mixture of cinnamon sugar.